Great finger food to have on a platter at a gathering. It will be a sure hit! Make your own chips from scratch by following this easy snack recipe. A healthy option, these are great to serve at your kids' birthday parties. 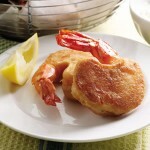 Fresh shrimps dipped in a light spicy batter and deep-fried until crunchy. Dahi Baras are Daal Patties in yogurt and the most imprtant part of every menu. Make these yummy fritters for your party by following these easy steps. 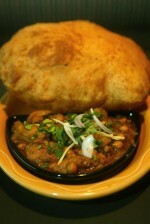 Daal fritters soaked in yogurt and garnished with your choice of chutney and masala.